Stellar! 🙂 I’m pinning the first pic! Thank you for sharing these with us Cindy! I love roses. Many of the old China roses bud one colour, bloom another and then fade to a darker shade.I hope to someday have a garden full of them since unlike the hybrid teas, the old Chinas are well adapted to the ridiculously hot, humid climate of the Southeastern United States. I bet Paul Neyron would thrive in your climate! I didn’t realize the koko rose was not a hybrid tea! I hadn’t looked closer when I saw it in the catalog because it was in with them. If it is a floribunda I may end up with one eventually as they grow much better here as well. The books sounds incredible. 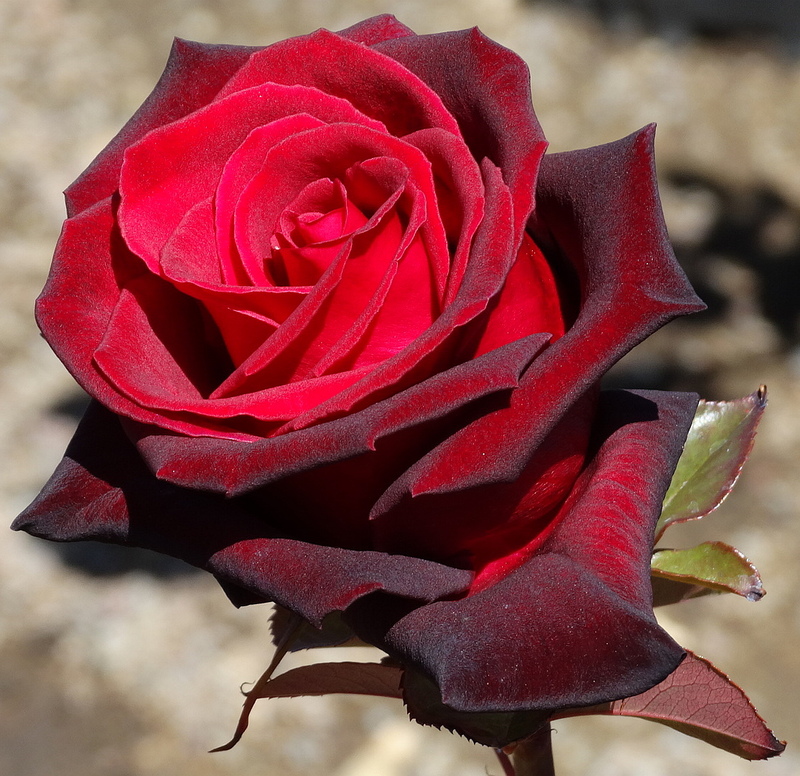 I know nothing about the process of hybridizing roses and I would like too. I am googling the butterfly rose right after this comment. Roses do become an obsession in the best meaning of the word, something you love and tend. Here at The Holler we have room for them which is a joy, as are you! So beautiful Cindy. Have a great Easter ! Happy Easter to you and I know you will be enjoying a wonderful feast! Thank you Cindy, I hope you had a good easter break ! Sie sind so freundlich! Vielen Dank! Ich bin sehr glucklich, Ihnen meine Rosen mogen. Frohe Ostern! Beautiful series of shots Cindy, spring is in the air! Yes, nothing quite like a nice spring day to bring a smile. Magical and beautiful, dear Cindy! The Happiest of Easter’s to you and your family Linda! Exquisite and I loved the bee in the centre of the last one which came as a nice surprise when I enlarged it on my screen! Happy spring…although none of our flowers have yet to bloom thank you for sharing yours. What really surprised me was the hidden fly in the purple rose!!!! I didn’t see it until the photo was on the screen. Happy Spring to you and well and hoping your flowers bloom soon! These are absolutely lovely! 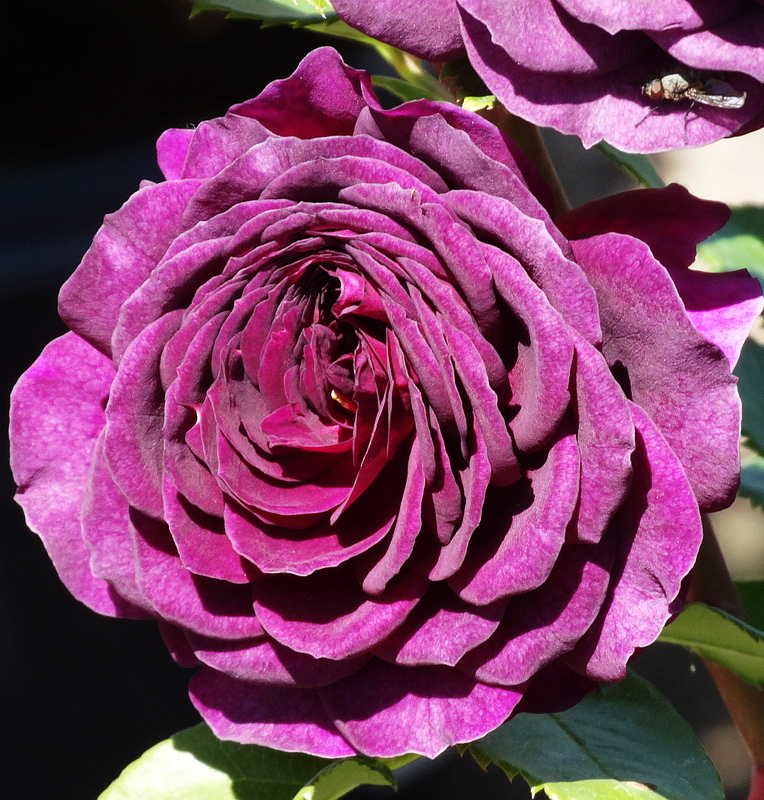 I used to grow old fashioned roses….but these new ones are superb! 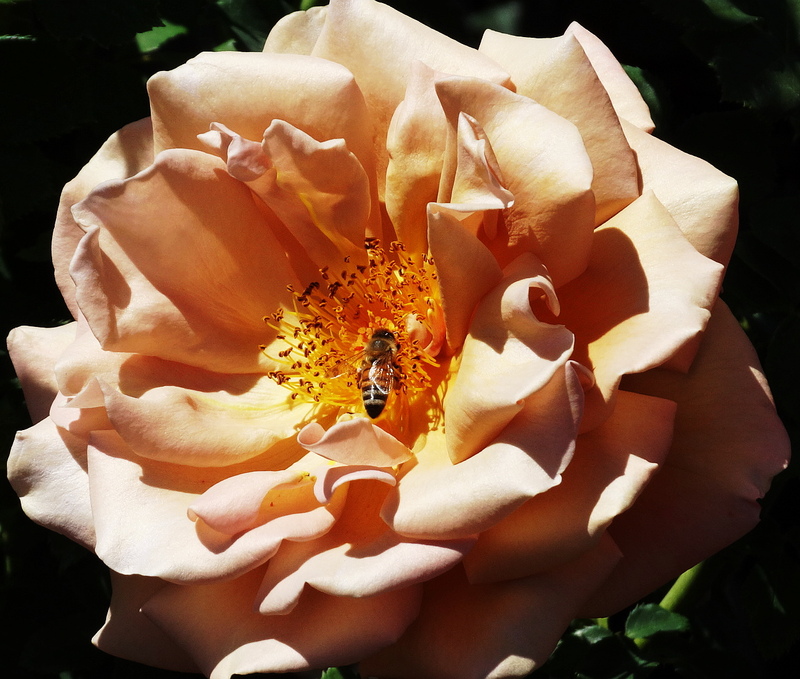 The final photo with the bee inside … beautiful, they all were but that one just captured my imagination. Lovely Cindy. Happy Easter. What a striking post during this time of year- so full of hope and life. Oh My Goodness, breathtaking, I wish I could smell!! Beautiful. Amazing pictures of my favorite flower!! So not true, I am enraptured by your photos! That fabulous rose velvet, the only thing I have felt that rivals it is the velvet on the new horns of deer and elk! I CAME TO BELIEVE THAT I WAS POWERLESS OVER MANY THINGS 😉 I WISH ROSES WERE ONE OF THEM, THEY SEEM MORE MANAGEABLE THAN MY DEMONS. These rose photos are so vivid, even tactile, that I can almost smell them. Lovely photos, lovely roses. I have never seen or even heard of chocolate rose! It is so beautiful. Its color is so rich and mild at the same time. I never thought I’d find such color in a flower! Thank you for sharing these photos, Cindy! I had exactly the same reaction as you more than a year ago when I first learned of them! Just remarkable. Now I want to get my hands on the newly invented blue rose from Japan! Blue rose? I saw them on the news a few years ago. Does the Japanese gov allow the flowers to be exported out of the country now? I think so but am not sure. They somehow spliced Blue Hyacinth genes into a white rose. I hear there are some glitches, but I would so love to see one! The eternally sought blue rose afterall is almost a holy grail! Excellent collection …. and the third one is my favorite. Yes, I would pretty much hooked with the first one I saw. Apparently chocolate roses have always grown in Greece. Who knew? Wow, such amazing colors. I had never heard of Coco Loco, such a perfect rose for the desert, hidden secrets and metamorphosis. 🙂 What a great place you have! It is perfect for here. Has anyone told you that you have a fertile imagination and a way with words and imagery????? This is a rhetorical question……. Wow – the first two almost look like they are made of velvet, really beautiful flowers! 🙂 All in your garden? These photos are superb and the subject is one of natures most beautiful. On top of that you grew them, they take the ‘Blue Ribbon’ on all counts Cindy. Awwww, you are a nice person Jack and I appreciate your kindness sincerely! I try very hard to always be honest. Such vivid colours, Cindy. Gorgeous photos. Cheers to you my friend and wonderful to hear from you too! I was almost afraid to enlarge them! Their beauty is breathtaking!!! So happy you do!! Thank you! Wow! But Wow!. They are fab. I wish I had slightly greener fingers. Alas, I have an unfortunate tendency to kill off my plants. Those really are lovely. Especially the peachy one at the end and the dark red one you started with. Great photos, too. I can almost smell them. I am feeling so good and having a great pleasure looking at the beauty and divinity you placed on your blog… Thank you for your sincerity and feelings you share with us. Bravo! Beautiful roses, Cindy. I love having roses everywhere and had to be firm with myself this year and not plant any new roses. It’s back to the 12 Step Program for you my friend! Yes for compulsive rose planting addiction. On second thought, I like dong this and don’t think it’s a problem……. Uh oh, now I really sound like an addict!!! 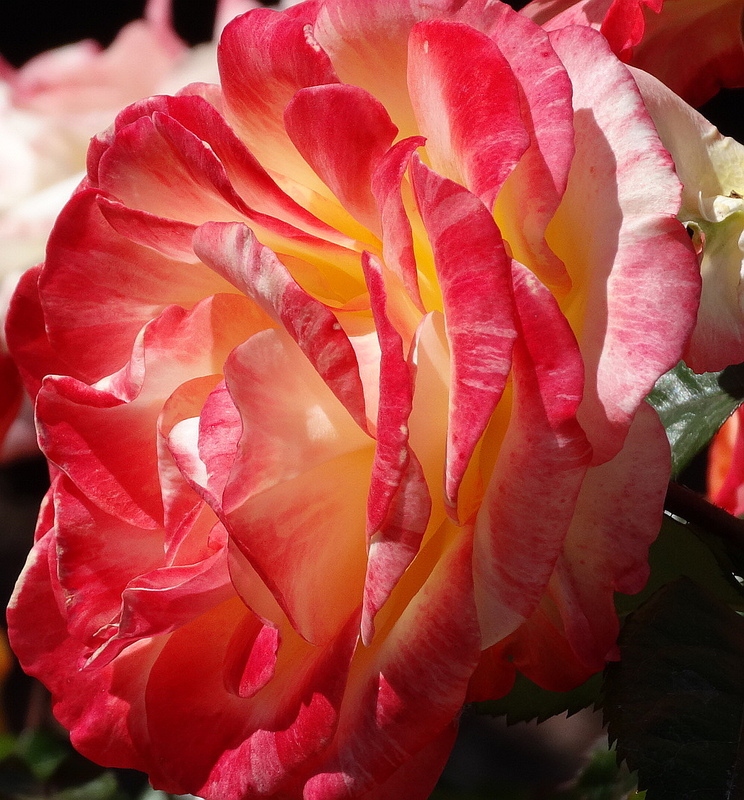 I admit… I am powerless over roses. So happy you enjoyed them & cheers! They are blooming up a storm right now. They are really profuse bloomers and the color change is remarkable. You won’t regret getting some! 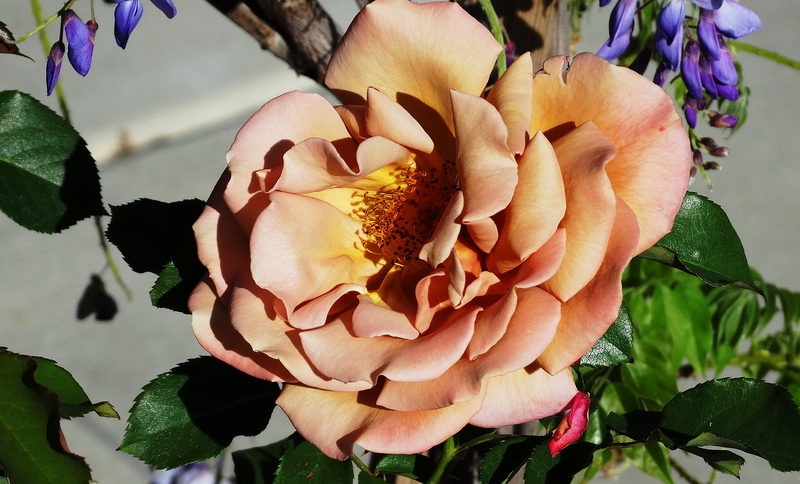 I buy my roses at a place called “Plant World,” in Escondido CA. I research before I go, but always end up with at least one unplanned. 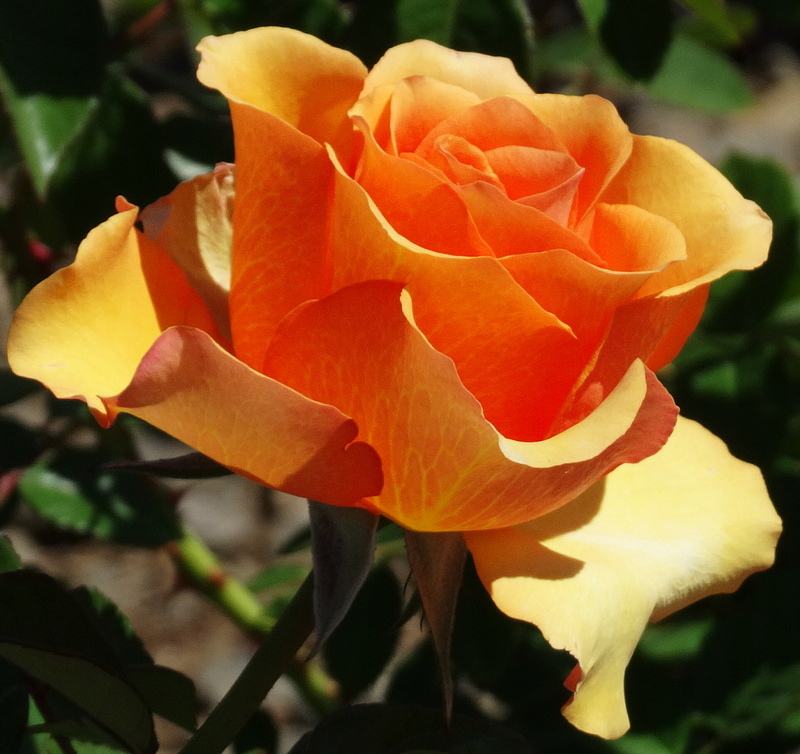 I like to google roses and learn about the profuse blooming, hardy varieties which I tend to favor. So far they all are thriving. I use Bayer 3 in 1 Rose Food for them twice a year. It stops rust, black spot, and powder mildew which can be problems out here and it has a systemic fertilizer. Roses out here need this extra help. I have used this for years and swear by it.